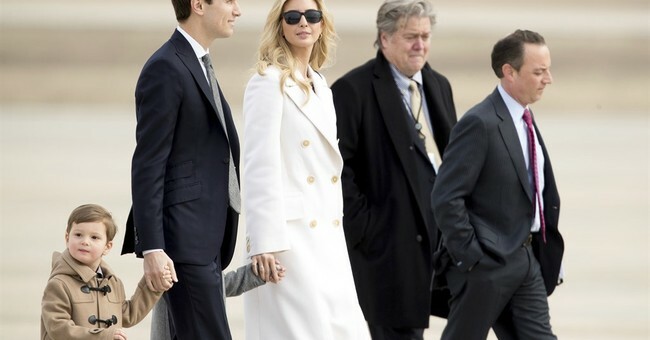 On Wednesday, in an interview with Dr. Mehmet Oz, Ivanka Trump revealed that she had struggled with postpartum depression following the births of each of her three children. She said that she had not planned on speaking out about this, but said that she thought it was important to do show to show how this can affect new parents regardless of their circumstance. "With each of my three children I had some level of postpartum ... depression," Trump said in an interview with Dr. Mehmet Oz during a taping of "The Dr. Oz Show." "It was a very challenging emotional time for me." "I felt like I was not living up to my potential as a parent, or as an entrepreneur, or as an executive," Trump said. "I had had such easy pregnancies that in some ways the juxtaposition hit me even harder." When asked why she decided to speak out now, Trump said that she had not been planning to, but believes "it's incredibly important," and added that postpartum depression affects new parents indiscriminately. "I consider myself a very hard-charging person, I'm ambitious, I'm passionate, I'm driven. But this is something that affects parents all over the country," she said. So, naturally, people took this revealing moment to empathize with one of the more humanizing admissions from the first daught--just kidding, they said horrible things about her and said they were glad she had to go through this. I have horrible PTSD & depression 4 YEARS & I never like to hear that others are going thru the same. But I wish all the misery on this ho???? As a woman and a mom I know I should feel sorry for her but I have nothing. She can afford the best healthcare and round the clock nannies. I'm much more interested in women who suffer from this and can't afford to buy their way out of it. I honestly think articles like this are about saving her image. If she was a legitimate advocate for women maybe I’d care. I bet it was nothing compared to the postpartum depression the nation had following the birth of her father's presidency. This, obviously, is disgusting. Post-partum depression doesn't care about political views or who the grandfather of the baby is. It is incredibly brave and important for Ivanka to come out and to talk about this--women need to know that they're not the only person to struggle with depression, and Ivanka is a prominent face that many people look up to. It's wholly inappropriate to blame her for her own mental health struggles, and people should be ashamed of themselves. Ivanka Trump doesn't set national policy, and she's not responsible for who her parents are. Further, a person can't "buy" themselves out of depression, and to suggest she somehow can due to her family's wealth is absurd. Ivanka Trump deserves some kind of kudos for this frank discussion, not scorn.